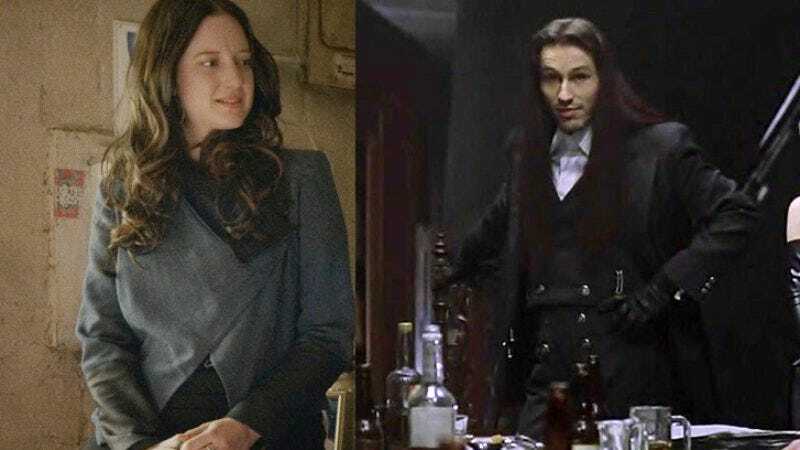 After having a lot of trouble trying to find someone to play its eponymous vengeful goth spirit—and ultimately landing on Boardwalk Empire’s Jack Huston—The Crow remake seems to have found an actor for its villain with relative ease. As reported by Deadline, Birdman‘s Andrea Riseborough is “in negotiations” to play Top Dollar, the head of an evil crime syndicate that’s responsible for the death of The Crow’s girlfriend (and The Crow himself, but he comes back to life, so that’s fine). Keen-eyed readers may notice that Riseborough is a woman, while the Top Dollar in the comics that The Crow is based on is a man. In fact, Michael Wincott—a man—played Top Dollar in the original Crow movie back in 1994. This might seem shocking or blasphemous to diehard Crow fans, but come on. It’s 2015, and there’s nothing that says the mob boss in a Crow movie can’t be played by a woman. We’d suggest that the Crow could even be played by a woman, but then a bunch of assholes would start whining until they got a second Crow remake that’s full of men.